October 28, 2013: Twenty one months since the Rafale was downselected in the MMRCA fighter competition, a measure of despondency has set in over timelines making the Indian Air Force (IAF) nervous for the first time that there's a good chance the deal won't go through in the current financial year. The IAF's Deputy Chief recently claimed he expected the deal to be pushed through before April 2014, but if the reality in negotiations is anything to go by, there remains a mountain of work ahead and very little time. Serious stumbling blocks linger on three principal accounts, slowing progress and all but nixing the possibility of an early contract signature: (a) division of responsibilities between Dassault and HAL in terms of workshare and technical collaboration, (b) costing of the 18 flyaway aircraft that will be produced by Dassault for the first MMRCA squadron, and (c) offsets. But negotiations are only one aspect. The other, of course, is time. In reality, the Indian Air Force is aware that time is even shorter than it seems. Its anxiety is principally based on the unlikelihood of such a large deal being pushed through when the country is in 'election mode'. As India wades into a period of state elections, followed by national polls in summer 2014, the MMRCA deal couldn't have been worse poised in terms of timing. Successive governments have been nervous about calling too much attention with large military contracts ahead of elections. The shadow of the AgustaWestland VVIP helicopter controversy has only intensified the government's paralysis over bold, tough and urgent decisions. "As the IAF Chief had recently said, there is no Plan B for the MMRCA. It must go through and quickly if we are to benefit from it. Remember that the MMRCA programme, while a large and ambitious contract, is principally a substantive stopgap purchase to bridge the IAF's capabilities into the future. The IAF's fleet is to be bolstered by its Su-30MKIs and LCA Tejas Mk.1/2 fighters, with upgraded Mirages and MiG-29s taking care of the medium capabilities. The MMRCA is therefore crucial since it fills a gap left by rapid retirements of the MiG-21 and delays in the LCA Tejas. But if it does not come on time, the purpose of the programme itself is lost," says a senior IAF officer familiar with the MMRCA programme. The recent demise of the MoD's top acquisitions man for the MMRCA contract, A.K. Bal, was a body blow to progress—even IAF Chief Air Chief Marshal N.A.K. 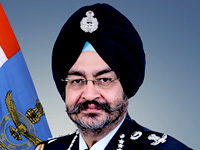 Browne recognised this at his annual Air Force Day press interaction, when he said it would take time for his replacement to get up to speed on the details of the programme. However, the MoD, while mourning the loss of the talented and hardworking official, has taken it upon itself now to ensure that precious time is not lost. "Anyone with the impression that the MMRCA negotiations are simply drifting would have a very different view if they were aware of the complexities of this particular contract. It must be communicated to those interested in such matters that the MMRCA programme has surpassed all previous defence contract negotiations in India in terms of complexity, depth and scale, not just in terms of value and numbers, but in terms of the sheer detail into which each header is being hammered out. When we are talking about such enormous portions of public money, it is a non-negotiable duty to ensure that every Rupee is prudently spent, and that each paisa brings us the very best," a senior MoD official informs SP's. Rupee depreciation has brought with it its own set of worries for the government and IAF, though the latter has since been assured that all such eventualities have been accounted for in budgeting. The IAF, however, remains determined to see the light before it begins to celebrate. The alacrity with which the MoD moved on the basic trainer contract has given the IAF reason to be optimistic that crucial deals can be fast-tracked. However, it remains perplexed over why it has taken nearly two years to complete negotiations, no matter how complex. 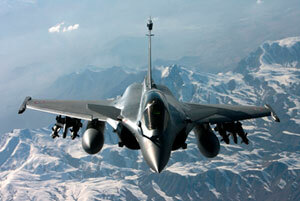 A top official at Dassault Aviation in France says, "The company remains optimistic. We have a relationship with the Indian MoD and IAF that spans many decades. Delays and negotiations are part of due process and must be completed to the satisfaction of all concerned. While we would very much like to see an early conclusion to the negotiations, we fully respect Indian due process, which we believe is among the best in the world. We would also like to recognise that no fighter competition has gone into the inner complexities of contracting like this one has. 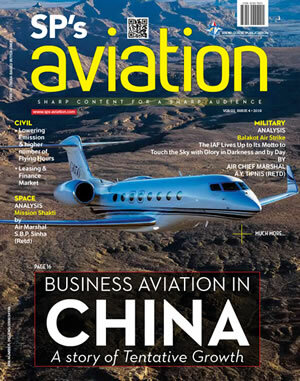 It has set down several benchmarks for future purchases, beyond fighter jets too."